Three students from Siakago Boys in Embu have been jailed for one year on probation and have since cleared from the school. They can only attend a day school as they report to the local chief. Other 125 from various schools affected by student unrest have been arrested as police intensify the crackdown on all masterminds of the recent cases of student unrest. 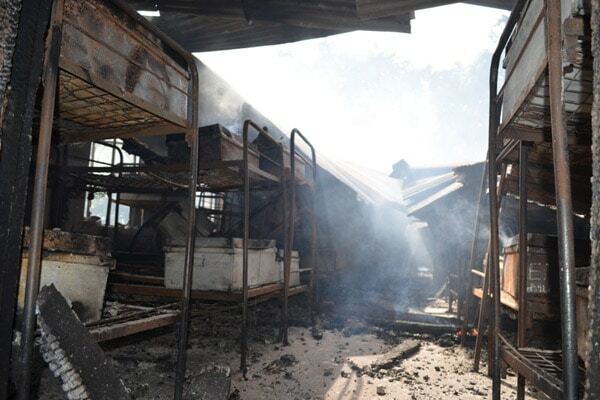 This was announced by Education Cabinet Secretary Amina Mohamed, Who confirmed that seven cases so far on student unrest in schools are cases of arson. “Since last week, 10 boarding secondary schools have experienced cases of unrest. Of these, seven are arson cases that have targeted dormitories when students were undertaking their evening studies,” stated the CS. examination results, tough examination rules meant to stamp out cheating and general indiscipline. The minister did not however instances of mismanagement by school heads. reported the highest cases of unrest. All boarding schools have been directed to double the number of teachers on duty over the next two weeks, with greater emphasis on surveillance of boarding facilities when students are attending evening preps. Also, all Quality Assurance Officers in all counties will be required to file daily reports on the security situations in their regions with clear explanations on any existing gaps. “The Ministry supports the move by the Directorate of Criminal Investigations to criminalize all acts of student unrest, destruction and arson,” said Ms Mohamed.